Planned to battle Chaos Beakies, but his basement flooded. 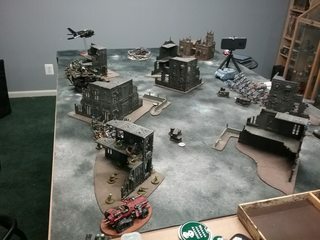 Played 1500 pts vs Space Wolves. We stopped after 3 turns because there were only 7 SW models left on the board vs about 50 boyz, plus nobz, warboss, big mek, and dakkajet. 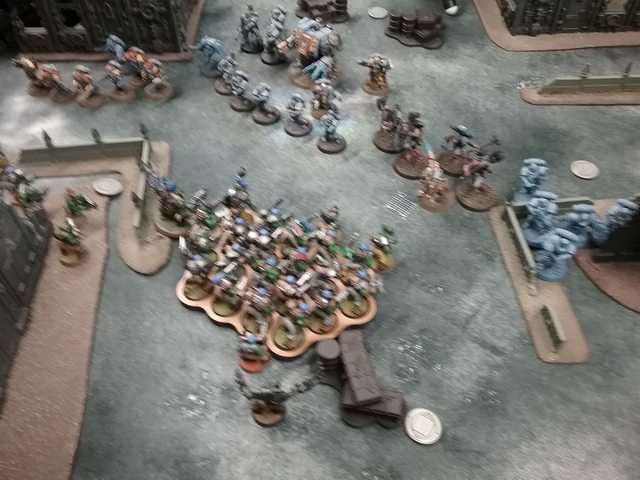 highlghts: Using unstoppable green tide to bring back a boyz mob after being down to just the nob with 1 wound. Charging Bjorn with the bonebreaka and nearly killing him in one turn. I hear wolf is real tasty if prepared properly; what say you Goreshrek? A tip of the hat for the beakie beatdown! Sadly, SW is just a weak list. I did not take a power list - no tellyporting dreds - since the CSM player I was going to play is fairly new and I wanted to keep it friendly. I would have killed Bjorn on one turn but he made like 5 FNP saves, left him with 2 wounds. The little boy having so much fun on the soundtrack is my grandson. What would a heavy tellyporta list look like for you then? I change my list all the time, because I like to include anything I just painted, and I have a lot of Orks. Sometimes I tellyport the BW. Very tough list. Not tournament optimum, but nasty with too many threats for most armies to handle. For the second battalion you are missing 2 HQ. I am afraid the list is illegal as posted. 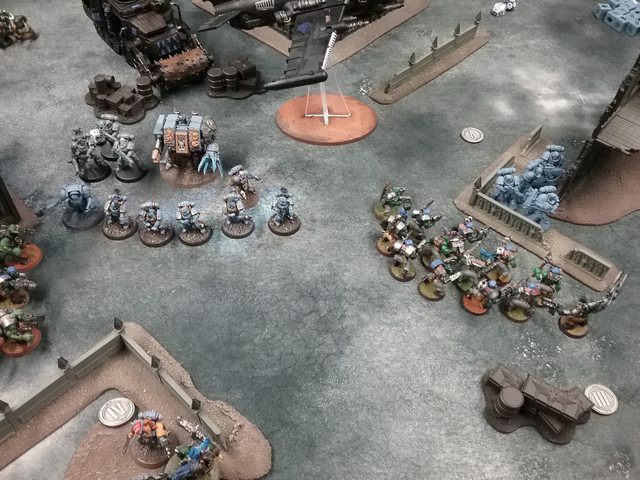 I left out the warboss in the 2nd battalion, or I use a deffkilla wartrike as Fast attack/HQ.